Jeanette MacDonald in Naughty Marietta. Screening films include Fred Zinnemann's multiple Academy Award-winning blockbuster From Here to Eternity (1953), which earned Donna Reed and Frank Sinatra Oscars; the first pairing of singing lovebirds Jeanette MacDonald and Nelson Eddy, W. S. Van Dyke's Naughty Marietta (1935) – which actually boasts a goosebump-inducing duet as the film's climax; and Jacques Tati's hilarious M. Hulot Holiday (1953). Angel and the Badman (1947) isn't the greatest Western ever made, but every chance to look at Gail Russell should be cherished. Though all but forgotten today, Russell was an otherworldly beautiful actress; a sensitive talent mostly wasted by Paramount in the 1940s. Also in the Angel and the Badman cast: silent film veterans Irene Rich and Harry Carey, one of John Ford's favorite actors. Emil Jannings won the very first Best Actor for both The Lost Command (1928) and The Way of All Flesh (1927). The former, a psychological melodrama directed by Josef von Sternberg, is one of the very best silent movies I've seen; the latter is a lost film. The Swiss-born Jannings, considered by some at the time “the world's greatest actor,” returned to Germany – where he'd been a film star for more than a decade – right at the dawn of the sound era. Programs are preceded by a slide presentation about the film, with music selected by the Library's Recorded Sound Section. Some screenings will also include short subjects before the main feature. Titles are subject to change without notice. All Packard Campus programs are free and open to the public. For reservation information, call (540) 827-1079 extension 79994 or (202) 707-9994 during business hours, beginning one week before any given screening. For further information on the theater and film series, visit www.loc.gov/avconservation/theater/. There will be no film screenings during the final two weeks of May (20-22, 27-29). “From Here to Eternity” (Columbia, 1953) In this romantic war drama, enlisted men in Hawaii fight for love and honor on the eve of World War II. Named to the National Film Registry in 2002, the film was directed by Fred Zinnemann. It stars Burt Lancaster, Montgomery Clift, Deborah Kerr, Donna Reed and Frank Sinatra. Thursday, May 6, 7:30 p.m.
“Naughty Marietta” (MGM, 1935) In this musical drama, a French princess in Colonial America gets involved with an Indian scout. Directed by W. S. Van Dyke, the film was named to the National Film Registry in 2003. “Naughty Marietta” stars Jeanette MacDonald and Nelson Eddy. “Mr. Hulot's Holiday” (Discina, 1953) Vacationers in a French resort town almost kill themselves trying to relax in this French (with English subtitles) comedy. The film was directed by Jacques Tati, who stars as Mr. Hulot. Saturday, May 8, 2:00 p.m.
“Davy Crockett, King of the Wild Frontier” (Walt Disney, 1955) This family adventure features tales from the life of famed American frontiersman Davy Crockett. Directed by Norman Foster, the film stars Fess Parker, Buddy Ebsen and Hans Conried. Thursday, May 13, 7:30 p.m.
“Angel and the Badman” (Republic, 1947) When a Quaker girl nurses a notorious gunman back to health, he tries to adopt her peaceful ways. Directed by James Edward Grant, this Western romance stars John Wayne, Gail Russell and Harry Carey. “Requiem for a Heavyweight” (Columbia, 1962) A washed-up prizefighter tries to free himself from his ruthless promoters to build a new life. This sports drama was directed by Ralph Nelson and written by Rod Serling. It stars Anthony Quinn, Jackie Gleason and Mickey Rooney. Saturday, May 15, 7:30 p.m.
“The Last Command” (Paramount, 1928) A decorated, aristocratic czarist general is reduced to poverty after the collapse of Imperial Russia. An old adversary, now a successful director, hires the general to reenact the revolution that deposed him. Starring Emil Jannings, Evelyn Brent and William Powell, this silent film was directed by Josef von Sternberg. Live musical accompaniment will be performed by Andrew Simpson. “The Last Command” was added to the National Registry in 2006. Images: Courtesy of the Packard Campus. Chicago: Risqué Cecil B. DeMille classic stars Phyllis Haver. 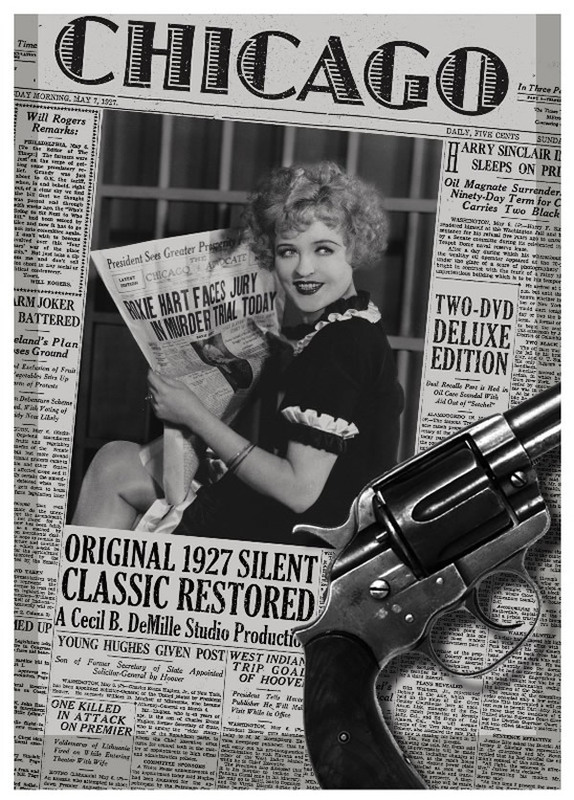 Chicago, the restored 1927 silent (unofficially) directed by Cecil B. DeMille and starring perky Phyllis Haver (right, with Victor Varconi) as Roxie Hart, is being released on DVD by Flicker Alley, in collaboration with The Blackhawk Films Collection. The 2002 Chicago remake, based on Bob Fosse's musical which itself was taken from Maurine Watkins' stage play, starred Renée Zellweger (as Roxie), Catherine Zeta-Jones, and Richard Gere. It was a good-sized box office and critical hit. Directed by Rob Marshall from a screenplay by Bill Condon (who'll next be directing The Twilight Saga: Breaking Dawn), Chicago won six Academy Awards, including Best Picture and Best Supporting Actress (Zeta-Jones). I'm probably in the minority here, but I thought the Chicago remake was all but unwatchable. The 1927 version, however, is something else altogether. There are no long, splashy musical numbers – and that's good, in my view – the cynical dialogue (via intertitles) sparkles, it feels much more daring than the 2002 movie, and best of all, Phyllis Haver is nothing short of brilliant as the ambitious antiheroine on trial for murdering her older lover. Handsome Victor Varconi plays Roxie's husband; silent film veteran Robert Edeson is the lawyer; and Eugene Pallette, who'd play supporting roles in dozens of Hollywood movies of the '30s and '40s, is Roxie's lover who ends up very, very dead. The scuzzy media plays the scuzzy media – and that's one of the reasons why Chicago 1927 feels more modern (and more relevant, really) than Chicago 2002. Cecil B. DeMille, who that same year directed The King of Kings, felt that Jesus and Roxie weren't exactly a match made in heaven. Thus, assistant director Frank Urson received sole directorial credit for Chicago. Lenore J. Coffee wrote the screenplay, while John W. Krafft provided the intertitles. According to the Flicker Alley press release, the two-disc Chicago DVD release will feature an accompanying score by the Mont Alto Motion Picture Orchestra; The Golden Twenties (1950), a compilation documentary feature produced for The March of Time series, using authentic footage of the era; and Oscar-winning Lauren Lazin's The Flapper Story (1985), “in which several self-declared children of the roaring twenties look back across the decades on their youthful lives.” All three films were produced for DVD by David Shepard. Also included are a brochure by Thomas Pauly on author Maurine Watkins and the factual background of Chicago; notes by Robert S. Birchard, author of Cecil B. DeMille's Hollywood; and a special documentary supplement, Chicago; The Real-Life Roxie Hart by Jeffery Masino and Silas Lesnick. Chicago is the twelfth DVD title to be released through the partnership of Film Preservation Associates' Blackhawk Films Collection and Flicker Alley. Their previous releases, all very much worth having, are: Discovering Cinema, Saved From The Flames, Georges Méliès: First Wizard of Cinema (1896-1913), Abel Gance's La Roue, Perils of the New Land: Films of the Immigrant Experience (1910-1915), Douglas Fairbanks: A Modern Musketeer, Under Full Sail - Silent Cinema on the High Seas, and Bardelys The Magnificent / Monte Cristo, George Méliès Encore, and The Italian Straw Hat. Twiggy in Ken Russell's The Boy Friend (top); Joaquin Phoenix in Ridley Scott's Gladiator (middle); Andrew Marton's Crack in the World, starring Dana Andrews, Janette Scott, Kieron Moore, and Alexander Knox (bottom). Ridley Scott's Oscar-winning Gladiator, Jean Renoir's The River, Ken Russell's The Boy Friend, and Andrew Marton's little-seen Crack in the World are some of the movies to be screened at the fourth Art Directors Guild (ADG) Film Society and the American Cinematheque series highlighting the works of renowned production designers. Those are Arthur Max (Gladiator), Eugène Lourié (Crack in the World, The River), Rudolph Sternad (The 5,000 Fingers of Dr. T), Nitin Chandrakant Desai (Devdas), Eiko Ishioka (Mishima: A Life in Four Chapters), and Tony Walton (The Boy Friend). Of the ones I've seen, I particularly recommend The Boy Friend, a trippy homage to Busby Berkeley's musicals of the 1930s, immensely aided by Tony Walton's production design. And of course, Renoir's The River, a simple but visually stunning coming-of-age tale set in India. Of the ones I haven't seen, Crack in the World sounds like a must. Just take a look at the poster. Also, director Andrew Marton was responsible for the chariot race in the 1959 version of Ben-Hur, a multiple Oscar winner and quite possibly the worst movie William Wyler ever made. But the chariot race is brilliant (even if not quite as brilliant as the one found in the 1925 version starring Ramon Novarro). Marton also co-directed King Solomon's Mines (1950), one of my favorite adventure flicks. That's another good reason for me to recommend Crack in the World, which stars solid 1940s leading man Dana Andrews, Janette Scott, Kieron Moore (Vivien Leigh's leading man in Julien Duvivier's 1948 version of Anna Karenina), and 1944 best actor Oscar nominee Alexander Knox. Sponsored by Variety, the ADG series will run from May through October. The screenings will alternate between the AC's Lloyd E. Rigler Theatre at the Egyptian (6712 Hollywood Boulevard, Hollywood) and the Max Palevsky Theatre at the Aero (1328 Montana Avenue, Santa Monica). All screenings will start at 5:30 p.m. Photos: Courtesy of the American Cinematheque. Paul Schrader's Mishima (top); Sanjay Leela Bhansali's Devdas, starring Shahrukh Khan, Aishwarya Rai and Madhuri Dixit (middle); Roy Rowland's The 5,000 Fingers of Dr. T (bottom). The series kicks off with a tribute to the talent of Production Designer Arthur Max, nominated for an Academy Award® for his work on Gladiator (2000). The film is directed by Ridley Scott, Max's longtime collaborator, and himself a former Art Director. Their films together include Black Hawk Down (2001); Kingdom of Heaven (2005); and American Gangster (2007). The film stars Russell Crowe and Joaquin Phoenix and won five Academy Awards in 2001, including Best Picture and Best Visual Effects for the integration of real sets with digital effects. 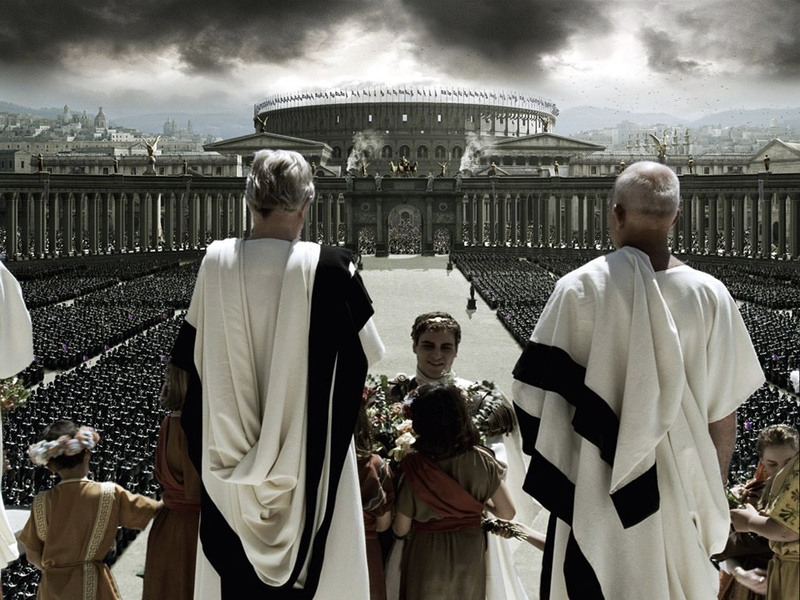 Much of Gladiator was shot in Malta, where sections of Rome's Coliseum were replicated for filming. Arthur Max will participate in a panel discussion following the screening. In June, the series will feature a double bill - Crack in the World (1965) and The River (1951) - as a tribute to the legendary Production Designer, Eugène Lourié, one of the true pioneers of film production design. Originally from Russia, he moved to Paris and started out painting film posters, became a designer for celebrated directors Jean Renoir and Marcel Ophuls, and ultimately both designed and directed films in Hollywood. 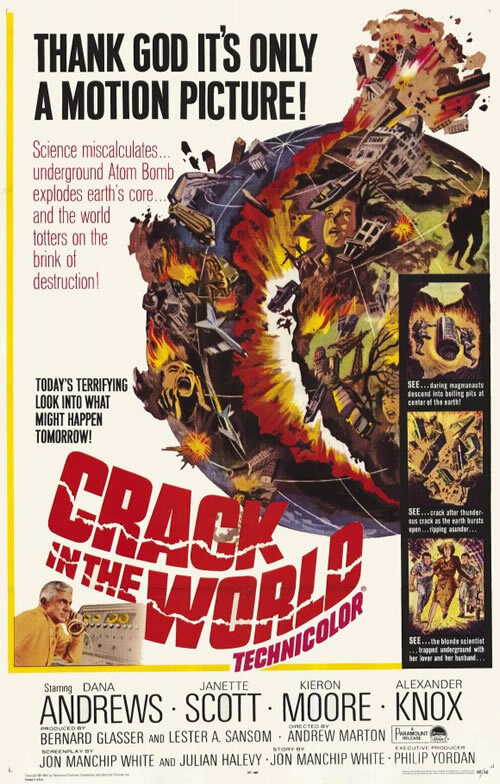 Crack in the World, a rarely screened film starring Dana Andrews (Laura), Janette Scott (Day of the Triffids), and Kieron Moore (Darby O'Gill and the Little People), is a science fiction film remarkable for it's eerily prophetic ecological message. 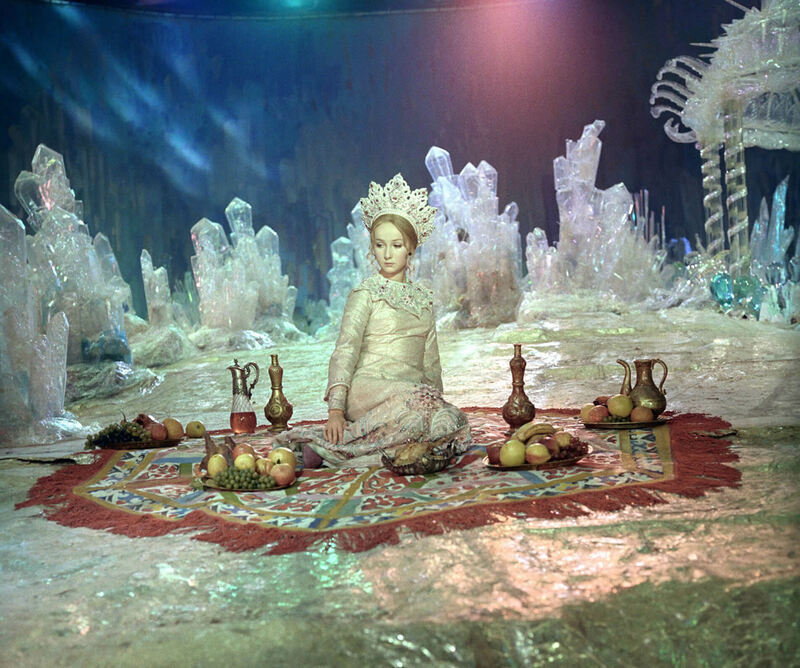 The versatile Lourié designed both the sets and the visual effects for the film. The River, a very different film than Crack in the World, is a poetic work of romantic mysticism, based on the novel by Rumer Godden and directed, written and produced by Jean Renoir. The film was nominated for two BAFTA awards, and was the first film to be shot on location in India using three-strip Technicolor. A panel discussion will be held between the screenings, to be moderated by John Muto. For July's screening, the Film Society will show the unique musical fantasy, The 5,000 Fingers of Dr. T (1953), the only feature film ever written by Theodor Seuss Geisel (Dr. Seuss), who was responsible for the story, screenplay and lyrics. Production Designer Rudolph Sternad took on the formidable task of creating the architectural equivalent of the amazing Dr. Seuss world. Directed by Roy Rowland and starring Tommy Rettig, Mary Healy and Hans Conried, this remarkable film tells the story of a young boy, Bart, who dreams his despised piano teacher has enslaved him, his mother, and his friends and doomed them to endlessly play a giant piano. Sternad, a consummate Hollywood professional, also designed such disparate films as, “The Wild One” (1953), On the Beach (1959), Judgment at Nuremberg (1961), and It's a Mad, Mad, Mad, Mad World (1963). A panel discussion with Henry Jenkins, Provost's Professor of Communication, Journalism, and Cinematic Art at USC, will take place after the film. The panel will be moderated by John Muto. The next film in the series will be Devdas (2002), spotlighting the talents of Production Designer Nitin Chandrakant Desai. Based on the Sharat Chandra Chattopadhyay novella of the same name, Devdas was the most expensive Bollywood film ever produced at the time of its release, and remains one of the most opulent Indian films ever. Filmed many times, “Devdas,” an Indian-style retelling of Romeo and Juliet, is considered a national epic. The film features Shahrukh Khan, Aishwarya Rai and Madhuri Dixit, all three actor superstars, and is renowned for its elaborate palace sets, covering acres of backlot, surrounding a reflecting lake. Devdas won ten Filmfare Awards, including Best Film, and received a BAFTA nomination for Best Foreign Language Film. It was also India's entry for Best Foreign Language Film at the Academy Awards®. A panel discussion will follow the screening. 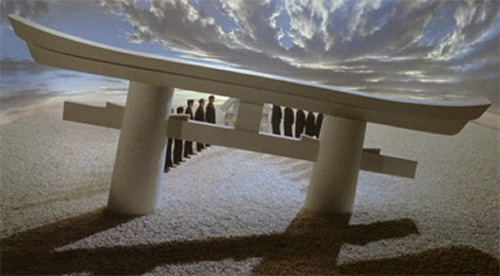 September's screening, Mishima: A Life in Four Chapters (1985) will honor Academy Award® winning Production Designer Eiko Ishioka. This film is an episodic, stylized film based on the life and work of the Japanese writer Yukio Mishima, directed by Paul Schrader and written by Paul and his brother Leonard Schrader. Ken Ogata stars as Yukio Mishima, while Roy Scheider gives an off-screen English narration, also as Mishima. Francis Ford Coppola and George Lucas produced the film in Japan, while they were involved with Akira Kurosawa's Kagemusha. The film was entered into the 1985 Cannes Film Festival where it won the award for Best Artistic Contribution. Following the screening will be a panel discussion, to be moderated by Thomas Walsh. The final film of the series, The Boy Friend (1971), designed by master Production Designer Tony Walton, will focus on the art of designing musicals for the screen. This film is directed, produced and written by Ken Russell, who had previously directed a number of controversial, convention-flouting films. In The Boy Friend, he chose to tell the classic stage fantasy of an assistant stage manager (Twiggy), of a threadbare theatrical troupe, who takes over for the injured leading lady at a matinee when a Hollywood director just happens to be scouting for actors. She also happens to secretly be in love with the leading man (Christopher Gable) - and imagines a series of spectacular musical fantasy numbers starring the two of them, in a Technicolor evocation of the cinema of Busby Berkeley. Following the screening, Tony Walton and a distinguished panel of design and musical theatre professionals will participate in a discussion moderated by Thomas Walsh. Representing the ADG are president, Thomas A. Walsh and Production Designer, John Muto. Working with them are the American Cinematheque's Gwen Deglise and Grant Moninger. General admission: $11. American Cinematheque members: $7. Students/Seniors with valid ID: $9. All screenings start at 5:30 p.m. 24-hour ticket information is available at 323-466-FILM (3456).